The v900L Visualization System combines a proprietary superior white light LED with two-way polarization to enhance the vision of medical professionals during dermal inspection procedures by removing surface glare from the patient’s skin promoting improved viewing of sub-surface features. Now powered by lithium ion battery providing initial four hours of run time. Intl Orders: Online ordering not available. Adjustable polarizer allows for both surface and sub-surface viewing; approximately 1mm. Control module houses the battery and easily attaches to the waist allowing for unrestricted user mobility. Control module offers dual settings for adjustable light intensity and extended battery life options. 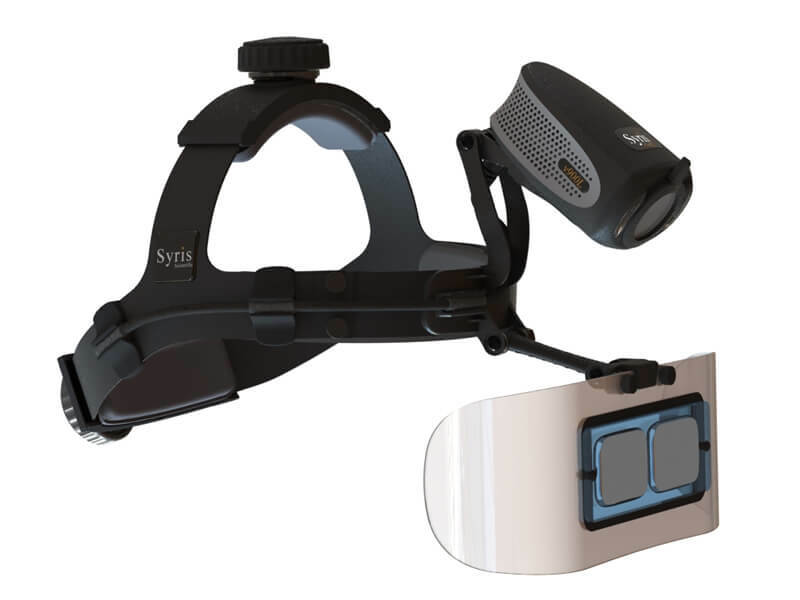 Visi-Shield provides for an unobstructed field of view and changeable magnification options. Lightweight vein visor headgear has two adjustable knobs and combined with the foam cushion headband pads provide for a comfortable fit. A fully charged battery will provide approximately 4 hours of continuous operation. A charger is included with the system to keep the battery charged while not in use. To ensure that the v900L is always available, it is recommended that a second battery be acquired to allow for continual use of the v900L while the depleted battery is being charged.